This listing includes the original game CD. The box is pictured for reference and is not included. I do not have a manual for the game. I will also provide a compatibility CD that will allow the game to run under ALL VERSIONS of Windows 10, 8, 7, Vista and XP, both 32 and 64 bit. Note that while joysticks will function, XBox type controllers will not. Also multi-player mode does not work. In this mid 1990s sim you are selected to take part in the Navys most prestigious training program. Apparently the number one pilot left the program and you are destined to fill his shoes. 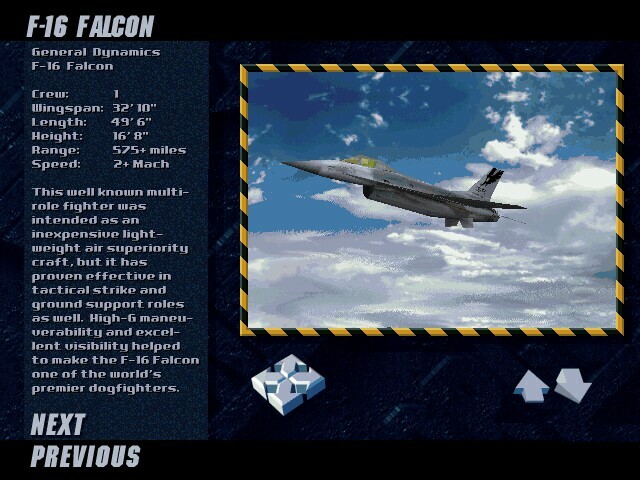 In your part as Maverick, you will be forced to clean up your family's slightly tarnished name, score points with a beautiful war correspondent, resist the urge to do supersonic flybys, and in your spare time prove to the world that the US Navy has the best fighter aircraft in the world. Your tour starts out at Top Gun. You, and several of the best the Navy has to offer, fly 10 missions against the instructors and each other. I like the score keeping used here. For every missile you fire, you lose points. For every bandit you shoot down, you gain points. Real basic, and lots of points for us gunslingers that prefer tight eye to eye combat over 70 mile kills with AIM-54s. My only real complaint here was that there was never a scoreboard posted. I had no idea how many points I was ahead of my classmates, or if I was behind. I was surprised when I was told that I was behind in points to Stinger, even after I had smoked him several times before. After Top Gun, you are deployed to Cuba, where pro Castro forces are launching an offensive against our bases there. I thought the Cuba campaign was kind of like playing against the little leagues. Here we are in state of the art F-14s going up against ancient Mig-21s and 23s. Things really heat up when the Cadre shows up. The Cadre is a group of mercenaries hired by Cuba to help them in their airwar with the US. The Cadre are not your average pilots. they get to run around in top of the line Mig-29s and SU-27s with firepower equal to yours. Now things start to get interesting. The rest of the game pits you against the Koreans, the Libyans, and the Cadre, in a quest to find out what really happened to your father, get the girl, and score more kills than any pilot should be allowed. Throughout the rest of the campaign, the Cadre are your real challenge. While the local forces can be a bit overwhelming, the Cadre pilots really know how to fly. 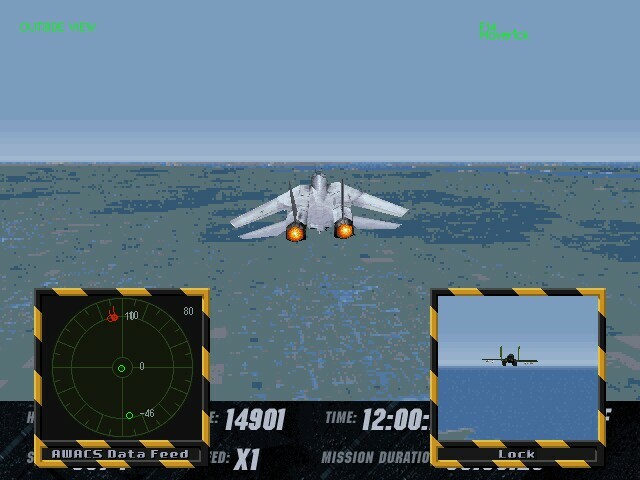 Top Gun concentrates on the fun parts of combat flying, while eliminating, or allowing the option of eliminating, the tedious chores included in most flight sims. You know, things like landing and taking off. One of the first things I took advantage of in this game was the ability to end a mission without flying all the way back to the carrier, circling forever, and then trying to land on a postage stamp. When all the mission objectives have been reached, simply hit the Escape key and end the mission. I love this. I enjoy landing every once in a while, but there are times when I want to get back in the thick of combat right away. I am impressed with the flight model in this game. There is a definite zone of peak efficiency, and areas where the F-14 feels like its flying through molasses. Most of the bandits appear to react well in close combat situations. If you let a Mig get on your tail, you better hope you wingman is close and willing to help you out. For the mid 90s the graphics are top of the line, and remind me of a similar game EF2000. The cut scenes are well done, not too long, and almost always relevant to the storyline. 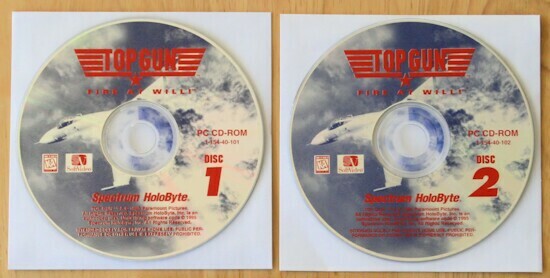 Overall Top Gun is a great combat sim. with over 40 missions in the main campaign, plus all of the instant action missions, it will keep you busy for weeks.